Adam Lambert has announced the title for his new single. The singer/songwriter christened “Ghost Town” as the first promotional cut from his upcoming third album, “The Original High,” out soon via Warner Bros. Records. Production duties on “Ghost Town” were handled by Max Martin, whose other credits include Taylor Swift’s “Style” [Big Machine], Tori Kelly’s “Nobody Love” [Capitol] and Ellie Goulding’s “Love Me Like You Do” [Republic]. 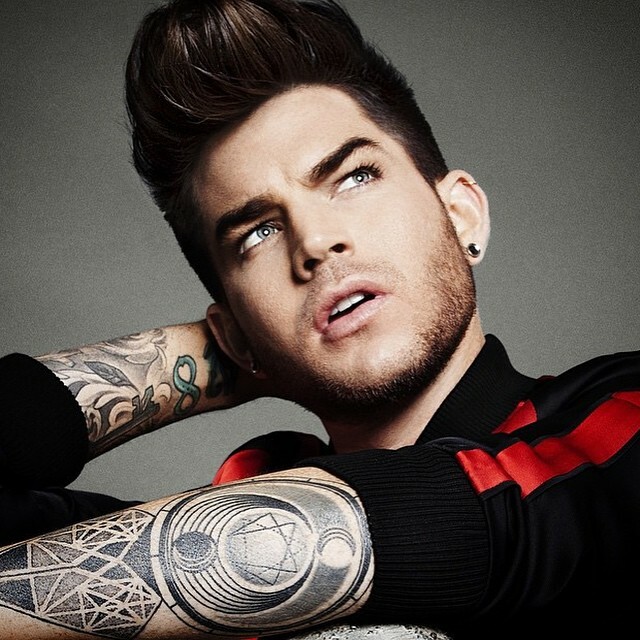 The keenly-awaited new studio collection by Lambert serves as the follow-up 2012’s “Trespassing,” which was released under RCA Records and peaked to number one on the US Billboard 200 Albums Chart. Watch the music video for “Better Than I Know Myself” below. Adam Lambert has confirmed the title for his upcoming third album. The singer/songwriter christened his next studio collection “The Original High” and will release it later this year via Warner Bros. Records. Songwriting and production duo Max Martin and Shellback – who have also worked with Ariana Grande (“Problem”), Christina Aguilera (“Your Body”) and Avril Lavigne (“What the Hell”) – serve as the album’s executive producers. Watch the music video for “If I Had You” below. Singer/songwriter Adam Lambert has signed a new record deal with Warner Bros. Records and will release his third album later this year. The Warner Music Group imprint is also home to artists including Cher, Bette Midler, Eric Clapton, Flaming Lips, Green Day, Josh Groban, Lily Allen, Michael Buble, Regina Spektor, Bebe Rexha, and Nico & Vinz. The Swedish songwriting and production duo have also worked with Taylor Swift (“Blank Space”), Ariana Grande (“Problem”), Christina Aguilera (“Your Body”), Usher (“Scream”) and Britney Spears (“I Wanna Go”). Watch the music video for “Whataya Want from Me” below.